Available through the Analytics Portal, a dashboard contains the reports, embedded web content, and other objects that collectively deliver a reporting solution for a category of interest. Flex WFO's built-in dashboards serve as a starting point to inspire you to create custom reports that suit your needs. Built-in dashboards are locked and not editable. You can create a new dashboard by selecting Add Dashboard from the dashboard gear dropdown. Alternatively, you can make a copy of an existing dashboard by clicking on the Save As option from the gear dropdown. You must have the role of Editor in order to create and edit a dashboard. New dashboards are hidden by default, allowing you to experiment and develop the dashboard privately and then share it only after it is complete. 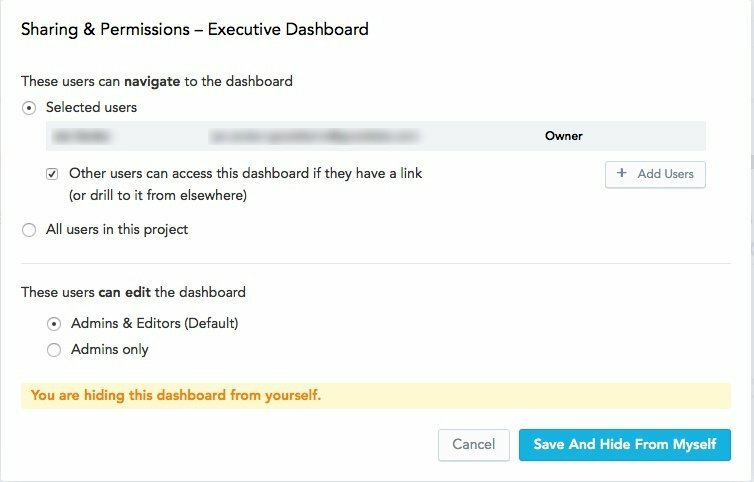 You can choose who is allowed to view and edit your dashboards. You may choose to hide a dashboard from all other users, share it with specific users and groups, or share it with all users in a project. Your dashboard's visibility settings are reflected in the dashboard embedded within Flex. A dashboard contains one or more dashboard tabs. 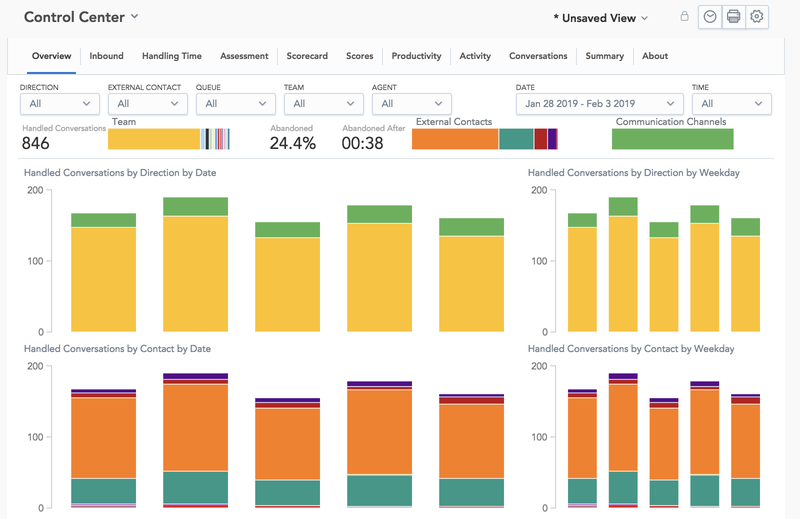 Other available dashboard tabs include Inbound, Handling Time, Assessment, Scorecard, Scores, Productivity, Activity, Conversations, and Summary. Selected filters carry over when switching between dashboard tabs. A dashboard filter allows you to filter report data based on a specified parameter value or range of values. On the left, you commonly have different conversations attributes you can filter. On the right, there are date and time filters. Filters are applied to all reports and measures on the dashboard tab unless an author of the dashboards decides otherwise. You can store your dashboard filter selection by saving a custom view. Saved views help you access previous filters in just a few clicks. To save a current view click *Unsaved View > Save current view..., then name your view. You can send the segment_link after the task is completed via a task update when the link to the recording becomes available in Twilio. We strongly recommend you provide links to WAV audio format. The URL has to be either publicly accessible or you can build custom solution resolving authentication. When you have a list of conversations or segments you can click on the segment ID to listen to a call. When clicking on an ID of a conversation to launch the conversation player, your browser may block it as a pop-up. Please enable pop-ups for this domain. You can click on values in different charts to open a pop-up window with a list of conversations and relevant metrics. You can regularly send yourself (or members of your team) a PDF of your dashboard via email. You can set the frequency and delivery time of emails. Additionally, you can send this email to more people on your team. Learn more about scheduling dashboard report emails here.